Unlike humans, robots aren’t born biologically. They are designed, built, programmed and incubated by their human parents in a variety of different birthing environments including robotics laboratories, artists’ studios and hobbyists’ back sheds. The robot children that emerge from these environments are a morphologically and behaviourally diverse species. Some robots are purely ‘machinic’ in appearance and behaviour but many display bio-mimetic and anthropomorphic characteristics. Although robots are made and not born, they can display such persuasive ‘signs of life’ that their human audiences respond to them as if they were living, sentient beings with their own agency, beliefs, desires and intentions. 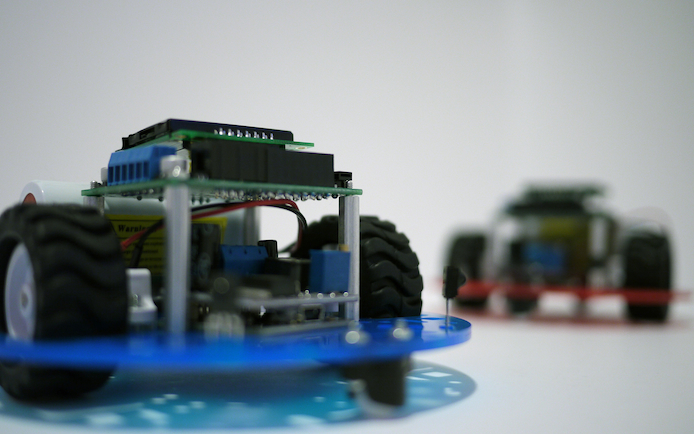 Some robots scuttle and swarm like insects. Others may mimic the appearance and behaviour of birds, fish and animals or take on human form and human-like characteristics. As products of mimesis and simulation, robots also have a shared lineage with other human artefacts including dolls, puppets, sculptures, figurines and automaton. 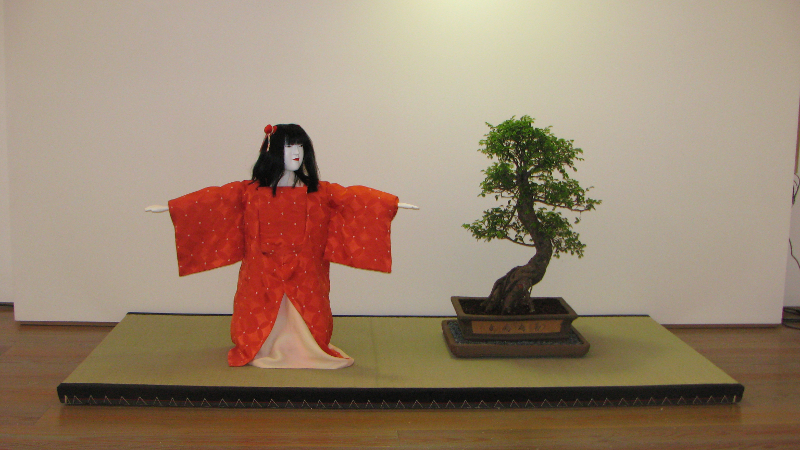 As with these earlier cultural artefacts, robots mimic and simulate aspects and characteristics of living organisms. As our robotic machines become increasingly lively, sensate and intelligent, they make us reflect on big philosophical questions: Can machines be intelligent? How do they see and experience the world around them? Do they have desires? Intentions? Agency? What kinds of relationships will they have with their human creators? In the Signs of Life: Robot Incubator exhibition there are robots that look like machines but display human-like psychological behaviours and phobias, a humanoid robot that looks like a sculpture come to life, a doll-like robotic automaton performer, and interactive modular robots that display hybrid machinic/biomorphic characteristics. The robotic ‘signs of life’ shown by the robots in the exhibition include autonomous movement, responsiveness to the environment and interaction with audience participants. The robots in the exhibition are being shown at different stages in their development, from design to prototype to full development. This will be the first public viewing for Mari Velonaki’s new humanoid robot Diamandini which is in the second year of its five year development in a research collaboration by the artist and robotics scientists at the Centre for Social Robotics, Australian Centre for Field Robotics, the University of Sydney. John Tonkin’s small machinic robots, which will display a variety of nervous dysfunctions, are also being shown in their first incarnation along with new versions of Kirsty Boyle’s interactive modular fragment robots. The final robot in the exhibition is Kirsty Boyle’s Tree Ceremony robot. This robot is inspired by Japanese karakuri (Japanese automaton or mechanised puppets from the 17th-19th century) and performs a ‘tree ceremony’ ritual for the audience. The Tree Ceremony robot is a seasoned performer as it has already been exhibited in two previous exhibitions.However, even fully developed and ‘completed’ robotic artworks such as this one can still be tweaked, changed, re-programmed and exhibited in different performative settings so that we will be seeing unique performance at the Signs of Life exhibition. Diamandini is a 155cm tall custom-made humanoid robot incorporating an omni-directional wheeled motion platform; cameras, laser scanners and computers for real-time tracking and installation control. The humanoid robot is being developed through a five year research project between Mari Velonaki and robotics scientists at the Centre for Social Robotics, Australian Centre for Field Robotics, the University of Sydney. Diamandini will be making her first exhibition appearance in the Signs of Life exhibition as a work in progress. Spectators enter an installation space where a kinetic sculpture is moving about in a smooth, choreographed manner. The kinetic sculpture is a robot that resembles a small-scale female figure that does not bear any elements that would classify her as a typical android robot. The texture that covers the robot from her head to the hem of her long dress is porcelain-like, and makes her look more like a floating figurine rather than a robot. Her movement is accompanied by soundscapes generated from within her. 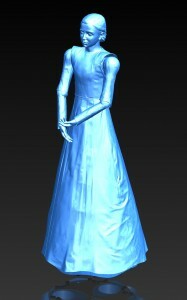 When a spectator approaches the figurine she responds physically by turning towards the person and gently moving closer to them. This project aims to investigate intimate human-robot interactions in order to develop an understanding of the physicality that is possible and acceptable between a human and a robot. 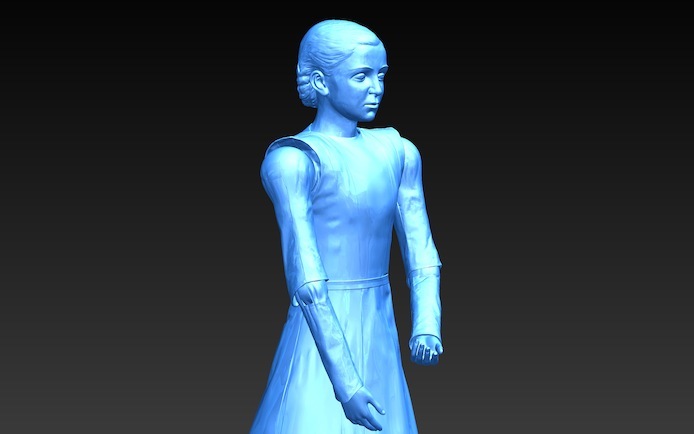 ‘Diamandini’ is an interactive autokinetic artwork that investigates the dialogical possibilities between a robot, in the form of female figurine, that can communicate with her audience through the modalities of movement and (at a later stage) written text. Spectators entering the installation space attract the attention of the robot; dialogues occur kinetically through the robot’s ‘perception’ of the body language of the participant, and as the participant reacts to the ‘body language’ of the robot. Supported by: Australia Research Council and Centre for Social Robotics/ Australian Centre for Field Robotics, The University of Sydney. These robots are from John Tonkin’s nervous robots series. He is interested in how cybernetics has been used to construct computational models of different mental processes. Using a language of feedback loops and homeostatic control systems these models seek to describe the (mis)workings of the human mind. His dysfunctional robots will explore some of these computational models of mind, awkwardly hybridising bottom-up AI approaches with more classical symbolic approaches that draw from a folk psychology conception of the mind as being the home of internal mental processes such as motives, desires, phobias and neuroses. attached/detached consists of two small autonomous robots that go through an ever shifting interplay of neediness and dismissiveness; with occasional moments of mutual happiness. These robots are primarily focussed on seeking or avoiding each other and will be oblivious to the audience. They draw on research by John Bowlby and Mary Ainsworth into attachment styles in adult romantic relationships. These different styles (secure, anxious-preoccupied, dismissive-avoidant and fearful-avoidant) corresponded to different combinations of a person’s attitudes (positive or negative) towards themself and towards their partner. Tree ceremony involves a robot interacting with a tree, creating an environment exploring how technology might bring us closer to nature. The work was commissioned by the Tinguely Museum and the Kunsthaus Graz for the touring ‘Robot Dreams’ exhibition, and comes direct to Istanbul from the ‘Puppen – Projectionsfiguren in der Kunst’ exhibition at museum villa rot in Germany. 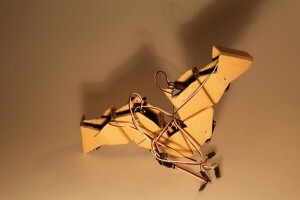 Fragment is a series of interactive modular robots, handcrafted in a range of different materials. During the Signs of Life exhibition a new series of robots will be developed that explore a range of differing aesthetic and gestural representations of artificial life manifested as performance machines. John Tonkin is a Sydney based media artist who began working with new media in 1985. In 1999-2000 he received a fellowship from the Australia Council’s New Media Arts Board. His work explores interactivity as a site for physical and mental play. Recent projects have used real-time 3d animation, visualisation and data-mapping technologies and custom built and programmed electronics. His works have often involved building frameworks / tools / toys within which the artwork is formed through the accumulated interactions of its users. John currently lectures within the Digital Cultures Program, at the University of Sydney and is undertaking a practice based PhD at COFA, UNSW. His current research is around cybernetics, embodied cognition and situated perception. He is building a number of nervous robots that embody computational models of mind and responsive environments that form a kind of dynamically coupled enactive perceptual apparatus.